Alaska is BIG! When planning your trip be sure to allow ample time to explore all the different areas you want to see and the things you want to do. All you need to do is determine what adventures you are most interested in and then choose the area that offer those experiences. You will be able to do most everything out of Anchorage, but some activities may require going to Talkeetna or Seward. If you do need to leave Anchorage you may consider taking the train to your destination. This is incredibly scenic and takes the hassle out of renting a car and navigating your way around. It is also quite affordable and often offers special discounts and promotions during the summer season. If you can dream it Alaska can offer it, from hiking in the Alaska wilderness to panning for gold, or bear watching in Katmai National Park, to souring over the tallest peak in North America; a tour can be found that will accommodate every member of your family no matter their age or mobility. Some of the most popular activities for visitors to Alaska include, Boat Cruises, Bear viewing, Flightseeing, Fishing trips, Hiking, Wildlife viewing, and cultural activities such as a visit to the Native Heritage Center. All of these activities can be done from Anchorage. 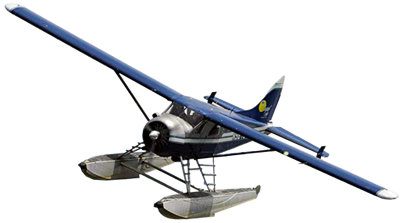 Flightseeing out of Anchorage is a “must do” since it is home to the largest Seaplane Base in the world, Lake Hood. If you have never been in a floatplane here is where you want to do it. With tours leaving daily there is no limit to what you can see on a flightseeing tour out of Lake Hood. Our most popular flightseeing tours include the Knik and Colony Glacier Tour and Mt. McKinley Tour. Be sure to check out Regal Air’s extensive list of Flightseeing tours to get more information and watch a video of the flights. Bear viewing is fast becoming a favorite among visitors to the state, and for good reason. These majestic creatures are like no other on earth, beautiful yet fierce at the same time, your photo album will not be complete without a visit to Silver Salmon Creek or Brooks Falls, our two most popular destinations. Seeing the bears in their natural environment is a once in a lifetime opportunity, sure to be the highlight of your vacation. If you are like many visitors, you have come for the fishing, and a guided fishing trip is just what you are looking for. A full day on the river with one of our top notch guides, and you will be landing salmon until your arms get tired. We provide all the gear, lunch, and the airplane ride to and from the fishing streams. Be sure and check out Regal Air’s extensive list of Trips and Tours for all your Bear viewing and day fishing options. With more than 120 miles of paved trails, suitable for biking, rollerblading, or just walking you should have no trouble finding one that suits your fancy. Along with paved trails Anchorage also offers several non-paved hiking trails, ranging from fairly easy to more arduous. A great way to see Anchorage is to hike popular Flattop Mountain, with stunning views of Anchorage the whole way up there should be no shortage of photo opportunities. So if hiking or biking is what you’re interested in be sure and check out one of Anchorage’s many award winning trails. Boat Cruises are another popular way to see all that Alaska has to offer. With several different companies offering several different tours you should have no trouble finding one that suits both your schedule and your budget. On these cruises you can expect to see wildlife as well as glaciers, and many stop at Lodges for refreshments.